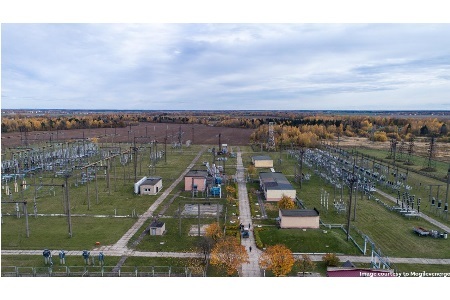 As part of the upgrade, the substation will be equipped with digital technology that enhances controllability and reliability while optimizing operating costs. ABB will supply protection and control equipment, an ABB Ability MicroSCADA (Supervisory Control and Data Acquisition) system and a digital process bus, which enables interoperable communication between vendors through Ethernet cables instead of copper wires, saving cost and space. As part of the project, ABB will also supply digitally enabled high-voltage products like Fiber Optics Current Sensors (FOCS-FS) and Disconnecting Circuit Breakers (DCBs) to the Engineering and Procurement Company RIKO. Digitalization enables unprecedented visibility of a customer’s assets and systems and the efficient harnessing of extensive volumes of data. Digitalization also enables the easy integration of IT (Information Technology) and OT (Operational Technology) systems enabling operators in control centers to interpret key insights in real time and as a result prevent critical failures. With increasing numbers of smart sensors in the field, the amount of process data being collected and analyzed within the substation is increasing correspondingly, allowing for protection and control, or for condition monitoring where the data is run against predictive models and machine learning in the cloud. At CIGRE, Paris, August 26-31, 2018, ABB is showcasing a connected digital substation demo, in the ABB booth no. 146, 1st floor.